Bob was my postdoc advisor at the University of Virginia. He is an integrative biologist who studies ecology, evolution and physiology. Learn more about the research in his lab. Todd Castoe, The University of Texas Arlington. Todd Castoe is an evolutionary biologist who studies genomes. His lab was instrumental in developing our studies of growth regulation and gene expression. Alison Davis Rabosky, The University of Michigan. Alison is an evolutionary biologist and ecologist who studies character evolution, behavior, phylogenetics and population genetics of reptiles and amphibians. Learn more about the research in her lab. Ariel Kahrl, The University of Virgina. Ariel is an evolutionary biologist who studies sexual selection in lizards and crayfish. 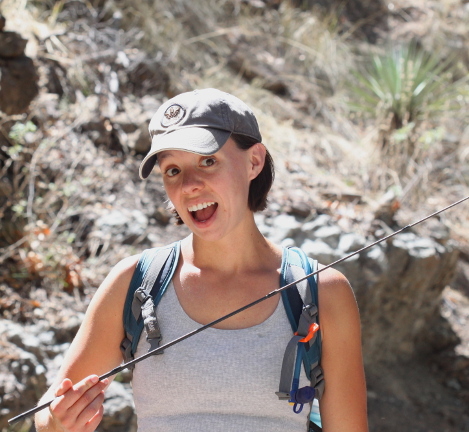 Her work focuses on sperm evolution and post-copulatory sexual selection. Learn more about her research. Aaron Reedy, The University of Virginia. Aaron is an evolutionary biologist who studies quantitative genetics, genomics, physiology and ecology in lizards and snakes. He also spent years as a high-school teacher, and has developed methods to integrate scientific research into the classroom. Learn more about his research. Jacobo is an evolutionary biologist and herpetologist whose studies range from natural history, taxonomy, and systematics to the evolution of genomes and complex traits. He is also a pretty spectacular field biologist! Jeff Streicher, Natural History Museum of London. 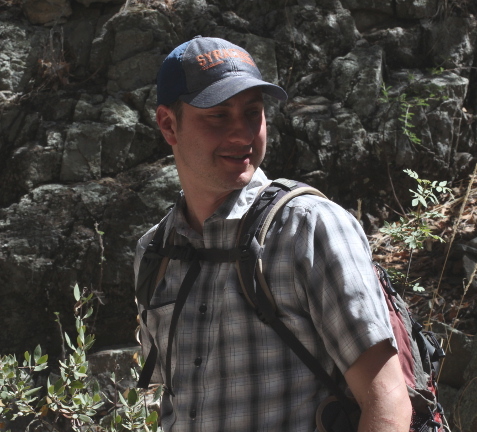 Jeff is an evolutionary biologist who studies phylogenetics and biogeography, mostly with reptiles and amphibians. He is also responsible for the curation of the prominent Amphibian collection at the Natural History Museum of London. Learn more about his research at the museum. Charles M. "Matt" Watson, Midwestern State University. 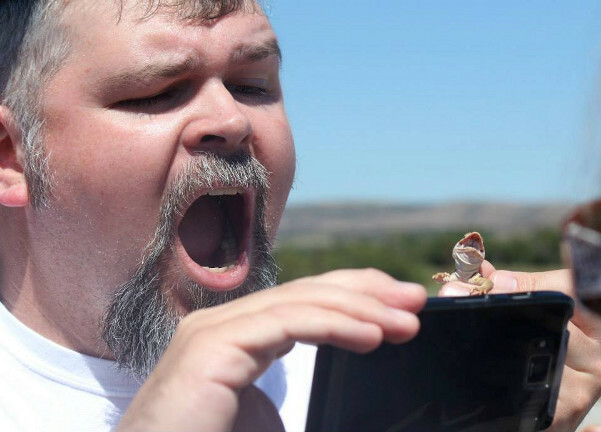 Matt is an integrative biologist who studies the physiological and evolutionary ecology of snakes and lizards. 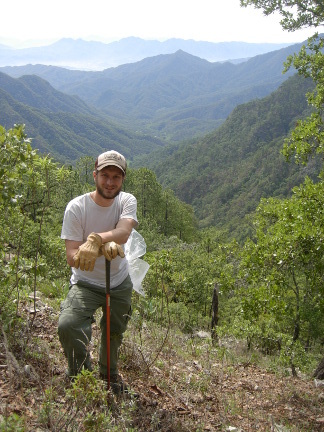 His recent work has focused on the evolution of viviparity in lizards. 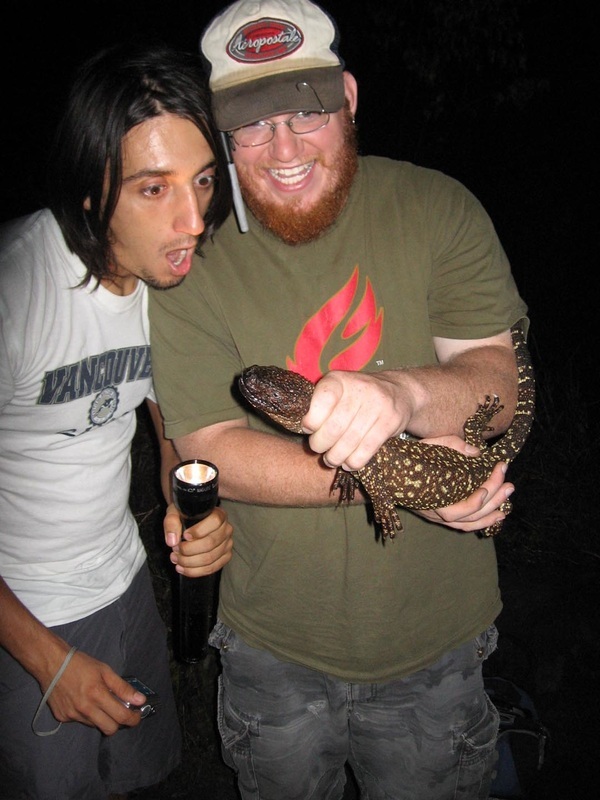 Mike is an evolutionary biologist who studies evolutionary dynamics and environmental change, mostly in lizards. Mike and I are collaborating on a long-term, large-scale study on the thermal adaptation of tropical rainforest lizards. ​Learn more about his research.